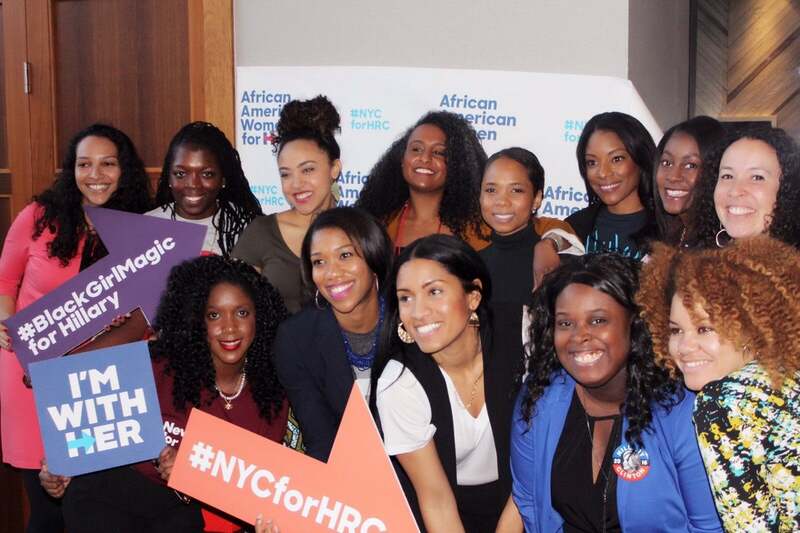 The numbers are in and it’s official, Black women showed up to the polls with a common goal in mind: to elect Democratic presidential nominee Hillary Clinton as the 45th President of the United States. While some news reports and even widespread Internet chatter seem to be perpetuating the idea that Black people are somehow to blame for the country choosing reality-star-turned-president-elect Donald Trump to run the country, the numbers tell the real story. 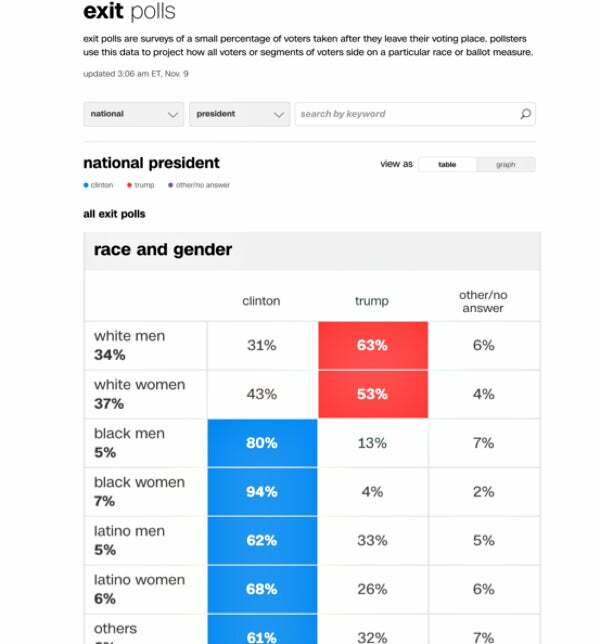 CNN compiled a chart breaking down the 2016 Presidential Election voter turnout by several different categories including gender, income, age and race. According to the findings, a total of 94 percent of Black women who voted cast ballots for Hillary Clinton. As is evident from a look at the figures in the chart, Black women went above and beyond to make their voices heard in the 2016 Presidential Election. From fellow politicians, to celebrities, to activists, to businesswomen, to mothers and wives, to the millions of extraordinary women who are a combination of all six, women of color from across the nation should be proud of the way we united at the polls. We stood behind a strong, highly qualified female politician who made history and as she’s pointed out many times before, she couldn’t have done it without our help.